First of all, I’m working on a game. Beta up here! Second, Ali Hillis. Color me unimpressed. 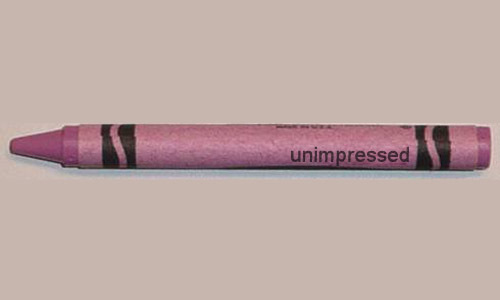 Yeah, Crayola. You got a crayon for that? Didn’t think so.